Can I test my camera and microphone? Are you looking to test your camera and microphone before your appointment? Great idea as this is something we highly recommend everyone doing! 1. 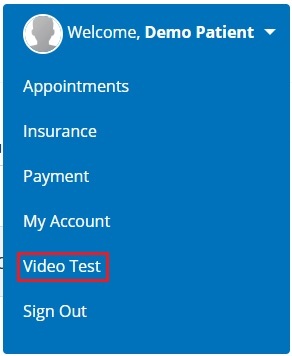 Just log in with your Chiron account credentials, click on "Welcome", and in the drop-down select "Video test". You will be guided with simple steps as you go through the testing process. 2. Will you be using this computer and internet for your upcoming appointment? 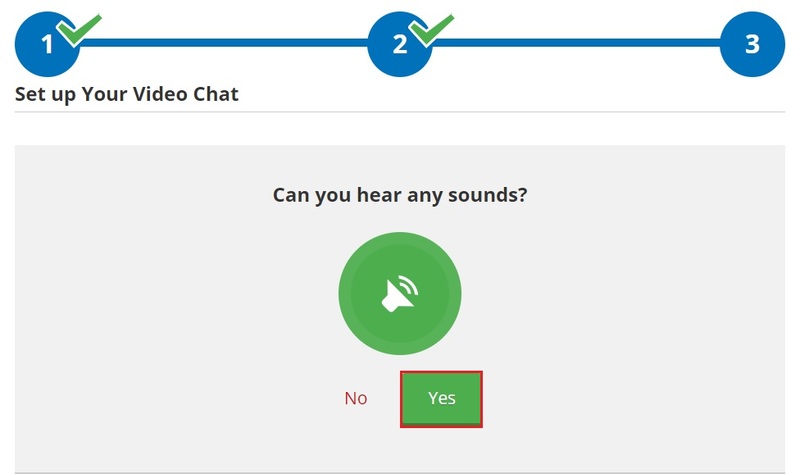 Select "Yes" to continue. 3. Can you see yourself? 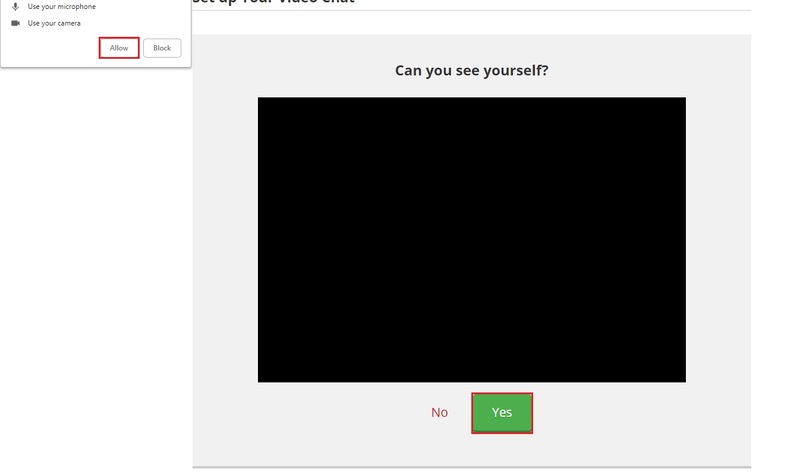 Once you see yourself click "Yes" to continue. 4. The microphone test will run by itself. Just speak at a normal tone and your voice will be detected. Once this is complete, you will see "Microphone sounds good!". Click "Next" to continue. 5. The speaker test will sound off chimes. When you hear these chimes, simply click "Yes" to continue. 6. 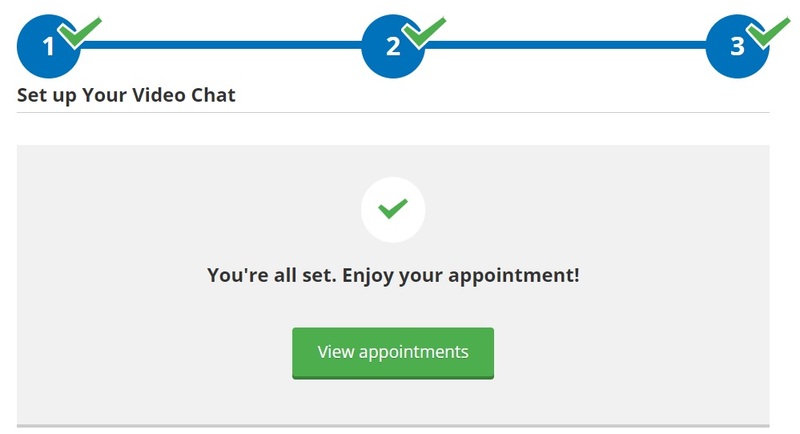 When you are done click "View Appointments" to return to your appointment page.